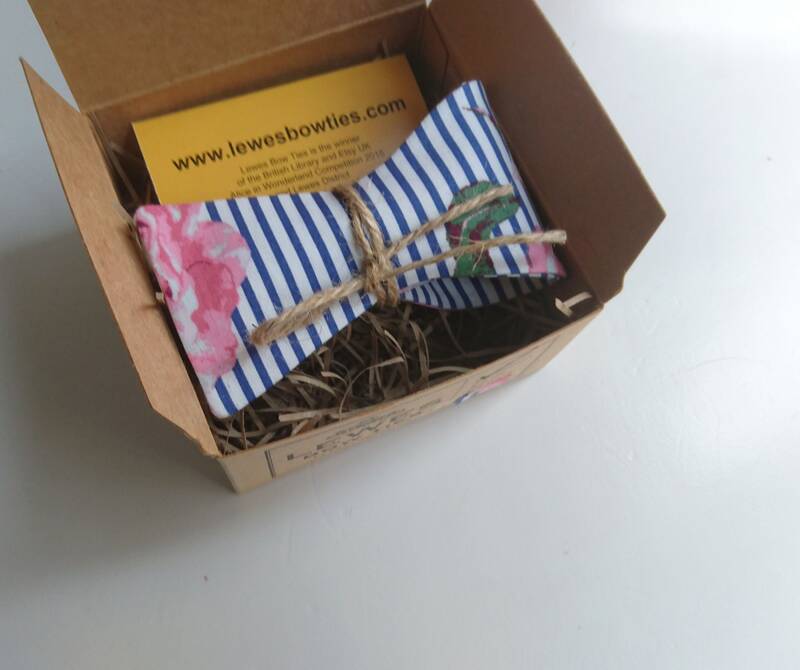 PINK ROSES ON NAVY BLUE STRIPES BOW TIE. The colours are simply stunning. 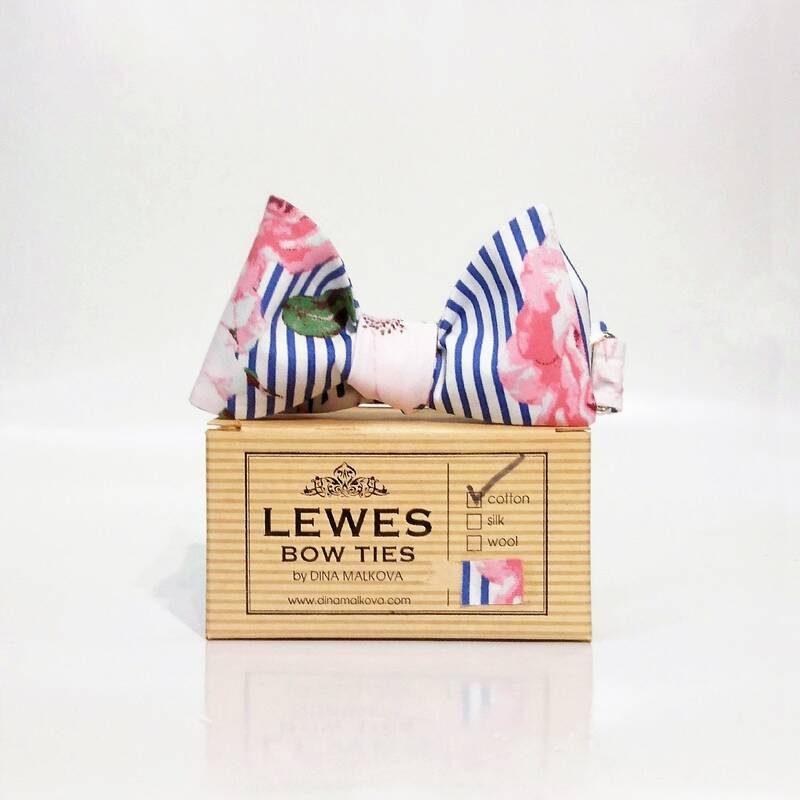 This bow tie will be a perfect accessory for a summer wedding by the sea.